The homeowner retained Brickhouse Environmental to conduct a groundwater investigation. 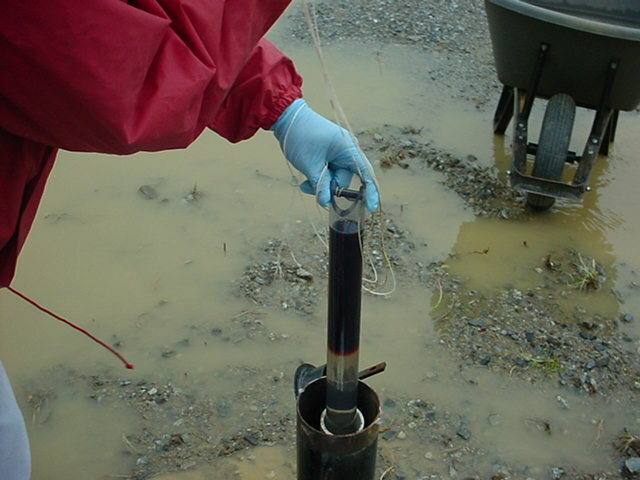 A shallow aquifer and a deeper bedrock aquifer (used as a drinking water source) were evaluated through the use of monitoring wells: four shallow wells, one bedrock well and three residential wells. The complex limestone bedrock aquifer system required detailed geological assessments to determine fracture patterns, bedding orientation, and the hydraulic connection between the aquifers below the site. Interim remedial measures included periodic free-product recovery from a monitoring well via a vac-truck, and the installation of a carbon treatment unit on the homeowner’s potable water supply. A remedial action work plan and classification exception area (CEA) notice have been submitted, and New Jersey Department of Environmental Protection (NJDEP) approval is pending. Coordination with the homeowner’s insurance company, NJDEP and neighboring residents has been essential throughout the project.